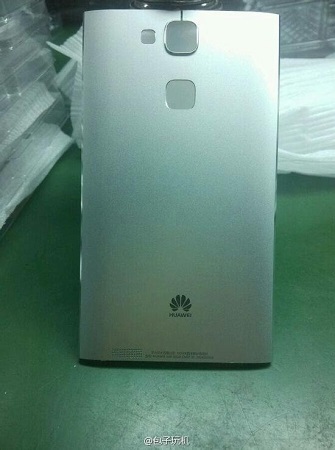 Just after the live images of the Ascend P7 were leaked, another image which is apparently Huawei’s flagship device for the year has been leaked. The first live picture of Huawei’s upcoming premium-design flagship has been leaked. Interestingly, the smartphone is said to be made only of metal, thus giving it the shiny premium touch. While the design seems quite simple, there are two big square cut-outs on the back. Obviously, the top one is the camera, but the second one seems like provision for a fingerprint scanner. If this isn’t flattering enough, sources claim that the Huawei flagship would be powered by the company’s own octa core Kirin 920 processor, which is apparently even better than the Snapdragon 801. While it is too early to discuss about the specs, we can expect more details about the flagship device over the next few weeks. However, being a premium smartphone be ready to shell out some extra cash for this.